Establish strong, valuable relationships with your customers and maintain effective and efficient collaboration using flexible automated sales processes. Bring your customers and suppliers together on the same platform for greater end-to-end visibility and control. Keep your customers in the loop for stronger business ties leading to measurable and faster ROI. Sustain a centralized structure for all customer-facing interactions. Orchestrate your supply chain and production decisions. Make your business an extension of your customers’ business. Make your sales processes more responsive and rewarding, with EDI tailored to customers’ needs, multiple payment processing options and rich quotation capabilities. Empower your sales team with real-time importing of EDI releases, automating ASNs, converting cost estimates into quotes and enabling one-time customer buys with ease. Reduce your operating costs by minimizing manual efforts and automating your order-to-cash processes. Make it easy for your customers to work with your enterprise for centralized, streamlined and efficient sales orders management execution and escalations handling. Process credit card transactions, quickly and securely, providing a flexible payment option to your customers. Manage all of your comprehensive customer master data in one central location. Let customers communicate directly with your business from one centralized platform, securely and proactively. Optimize your master production schedule (MPS) across a network of warehouses, manufacturing facilities and distribution centers. Manage your EDI trading partners, mailboxes and documents for an instant and flexible exchange of transactions with your customers. Automate your pricing and quotations, and be more responsive to your customers. 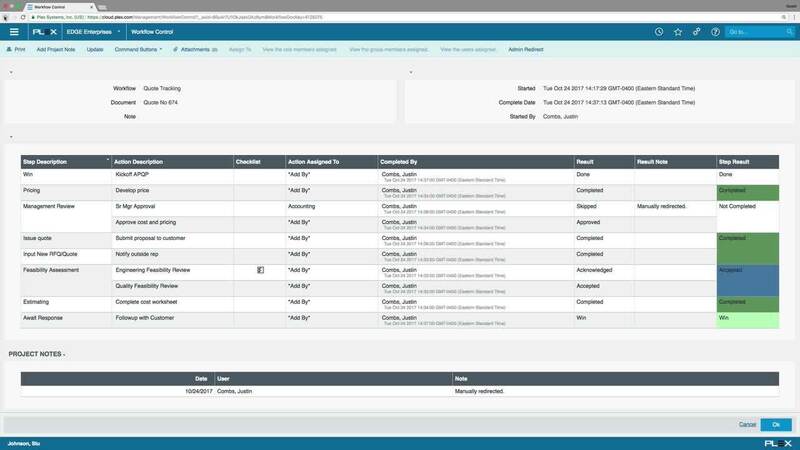 Track and manage your customer order and release information with ease. Translate your business strategy into operational directives for desired customer service levels, estimated market potential and forecasted future demand. Drive towards higher sales and revenue with easier access to information and higher visibility. Have all of your field service and warranty details up-to-date, all the time. Exceed your customer expectations with automatic replenishment of vendor-managed inventory and timely invoicing. Explore 10 important questions to ask when choosing a new ERP manufacturing system. Discover five advantages offered by cloud-based ERP for manufacturers. Manufacturing expert Dave Turbide examines effective inventory management.